So, how does the RBA cash rate affect you? The RBA is Australia’s central bank that is responsible for establishing the monetary policy of the country. It does so by setting the cash rate, which refers to the interest rate at which Australian banks can borrow money from the RBA, as well as, other institutional lenders. The cash rate, therefore, acts as the benchmark rate for the rest of the country. At the beginning of the month, the RBA meets to decide the official cash rate based on various economic factors such as the consumer confidence, the state of the property market, and the performance of the Australian dollar. Now, coming to how the cash rate affects you, simply put, when the cash rate is low, like it is presently, the interest rate on your mortgage is also low – meaning, you pay lesser interest on your home loan each month. However, when the cash rate is high, the cost of borrowing increases for the banks, leading to a higher interest rate on your mortgage. Therefore, homeowners must keep up with the changes in the cash rate, as it is an important indication of a shift in your mortgage interest rate. The case is different for fixed rate home loans. While the borrowers are protected against any rate hikes, they can’t take advantage of any rate drops when they occur. Besides, fixed rate loans can incur substantial break costs if you decide to refinance during the fixed period. Why is my interest rate so much higher than the cash rate?For most home borrowers, the factors that determine their mortgage interest rate remain a mystery. How does a bank decide what rate of interest to charge on my home loan or why is my interest rate more than the cash rate set by the RBA – these are common questions a savvy home borrower may ask. The answer is straightforward – most banks apply a price-leadership model for loan pricing that takes into account the cost of funds and margin, in addition to the cash rate, to determine the final interest rate they are going to charge on a home loan. Here, cost of funds refers to the funding cost incurred by the bank in raising the funds to lend. The margin is the prime or base rate established by major banks and is added to the cash rate to determine your final interest rate. 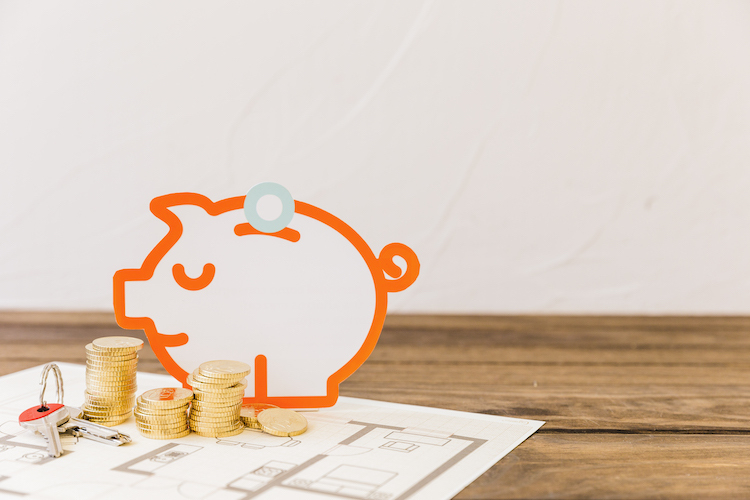 In general, the cost of funding and the margin adds up to approximately 2.5 per cent, which is the reason your interest rate is significantly more than the official cash rate set by the RBA. According to Jim, a mortgage broker, the RBA has kept the cash rate static for almost a year and a half. The presently low cash rate is expected to continue for a few more months as property prices decline across the country. However, this trend will not go on forever, and, homebuyers must stress test their mortgage to keep up with any upward rate hikes in the future. As an increasing number of Australian households reel under mortgage stress, there are simple things you can do to stress-proof your mortgage. First, even before you take out a home loan, check your repayment capacity for a rate that is at least 3 per cent higher than what you are considering. This will protect you against future rates hikes to a great extent. Besides, you must only buy a home that you can afford. Often, your borrowing capacity is more than what you can afford to service, as lenders are not aware of your personal circumstances. Thus, it is prudent to borrow what you can afford instead of going for the full amount available to avoid financial stress in the future. You can calculate your borrowing capacity and use this repayment calculator to figure the size of the loan you can comfortably service. In addition to the interest rates, you must also look for helpful features in your home loan, such as a 100 per cent offset account that could help you pay off your home loan sooner. At HashChing, we offer you the expertise of a growing network of 400+ professional brokers across Australia who work hard to bring you the best home loan rates across the country in addition to recommending financial products tailored to your situation. Visit our website to compare broker pre-negotiated home loan rates or post your home loan queries online to have them answered for free. Don’t worry. Your personal information is safe with us; you won’t receive any unwanted calls or emails.